Nixxes, the Dutch developer known for its PC ports of Square Enix games like Tomb Raider and Deus Ex, announced today that the latest Shadow of the Tomb Raider patch has finally added the NVIDIA Ray-Traced Shadows and Deep Learning Super-Sampling (DLSS) to the game. We have just released the thirteenth PC patch for Shadow of the Tomb Raider, build 1.0.280. This patch focuses primarily on the release for the Nvidia’s Ray-Traced Shadows and DLSS. This patch will be applied by Steam automatically when you next start the game. If your game does not update, please restart the Steam client. Nvidia’s latest drivers 419.35 and up. While we expect this patch to be an improvement for everyone, if you do have trouble with this patch and prefer to stay on the old version, we have made a Beta available on Steam, Build 279, that can be used to switch back to the previous version. 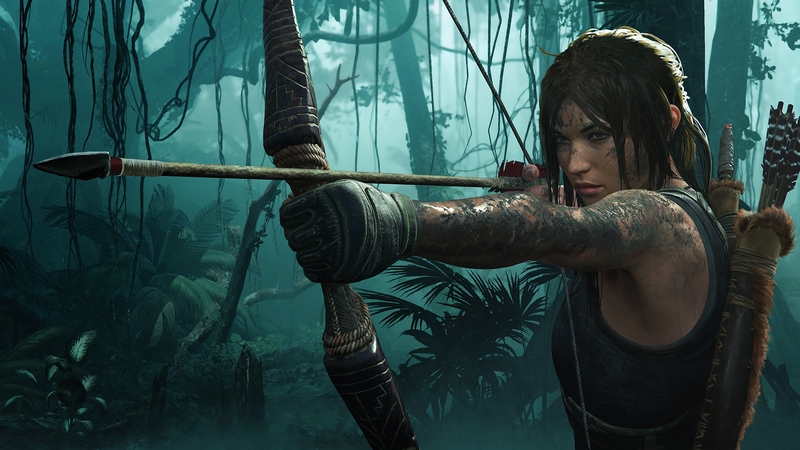 It’s been six months since Shadow of the Tomb Raider first released, but as they say, later is better than never. The Ray-Traced Shadows should also be available via DXR to GeForce GTX cards next month via a driver update, as announced yesterday by NVIDIA. Check back later this week to find Keith’s analysis of both ray tracing and DLSS implementation in Shadow of the Tomb Raider.